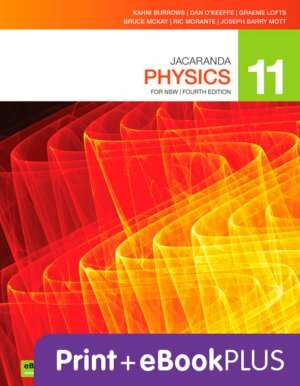 This combined print and digital title provides one-to-one correspondence with the new Physics Stage 6 Syllabus (2017) and achieves all the Working Scientifically outcomes and Knowledge and Understanding outcomes. The new edition features fully worked solutions for every sample problem, questions to reinforce, check and extend learning, and practical activities for open-ended problem solving. Each topic contains a summary of all of the key learning points, as well as two topic-level exercises comprised of 30+ questions. The eBookPLUS provides students with opportunities to extend their knowledge and skills by engaging with digital resources including videos and interactivities exclusive to the series.